Have you ever been to see a band from the 1970s and turned up to find out the only remaining original member was the drummer, singer or bass player? Well, try going along to see Matchbox… not only will you hear their string of hits from the era, including top tens such as When You Ask About Love , Midnite Dynamos and not forgetting their million seller classic Rockabilly Rebel , but you will also be amazed to find the exact line up that made all those records. If this is not unique, it is very rare indeed. The release of Buzz Buzz A Diddle It saw the band get enormous airplay as it crept to a respectable position in the charts. 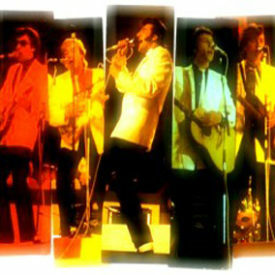 The next one, Rockabilly Rebel , became a worldwide hit, quickly followed by When You Ask About Love , Midnite Dynamos and Over The Rainbow – Tou Belong To Me . Over 5 Million records were sold in Europe, Australia, New Zealand, Scandinavia, etc. 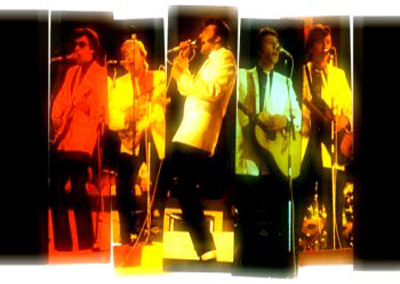 Numerous TV shows and tours with the likes of Jerry Lee Lewis, Johnny Cash, Chuck Berry and many more, established the band as a major headline attraction.